The Jacto HD400 4 Gallon Backpack Heavy Duty Sprayer has an internal mechanical agitator that keeps powdered chemicals such as kaolin clay organic insecticides in suspension, as well as liquid chemical additives. 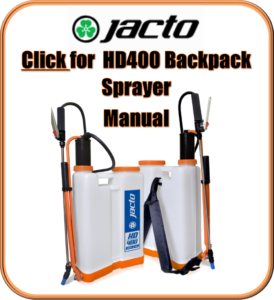 Extremely popular with landscape professionals and organic farmers, the Jacto HD400 4 Gallon Backpack Heavy Duty Sprayer was independently tested for more than 1,500 continuous hours of operation with no breakdowns and the Jacto HD400 is easily converted for either right-hand or left-hand operation. 6 handle pumps will achieve 45 psi, reducing operator fatigue! 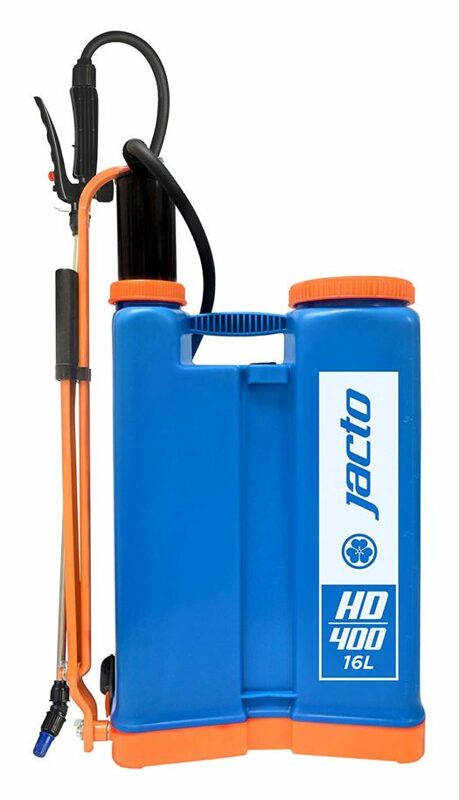 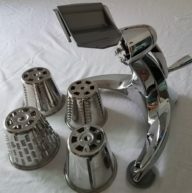 The Jacto HD400 is convenient to carry, because the handle is built into the top of the tank. 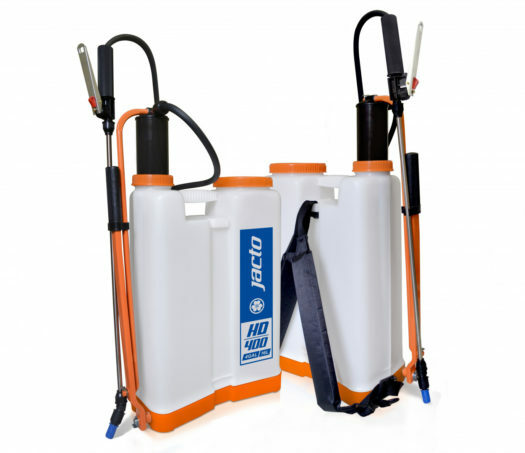 A handle lock and spray lance lock also makes it easy to transport from job to job. 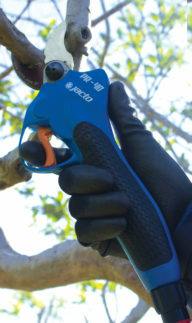 There are two color combinations for the HD400. 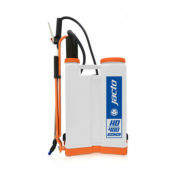 The white/orange option is equipped with a Viton® piston cup, a choice for users who will spray caustic chemicals. 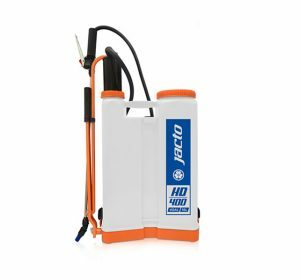 Our HD400 blue option features a piston cup made from Santoprene®, which offers a longer wear life than the Viton® option. Please indicate at checkout if you want the white / orange option or the blue option. 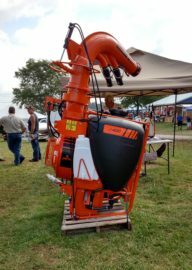 The Jacto HD400 Backpack Sprayer has 2 axle positions for the pump lever making it usable either right or left hand operation. 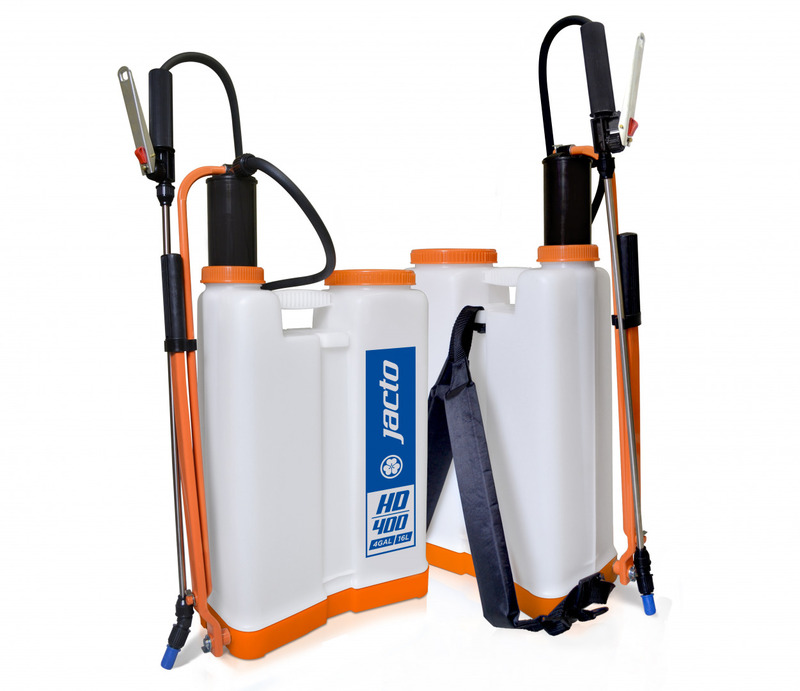 A lever lock to the pump rod is also included, eliminating the handle falling down when in transit.